2000 Smithsonian Folklife Festival, El Rio program (FAF2000_05). Photograph by Donald Hurlbert. Courtesy of the Ralph Rinzler Folklife Archives and Collections, Smithsonian Institution. 2000 Smithsonian Folklife Festival, El Rio program (FAF2000_12). 2000 Smithsonian Folklife Festival, El Rio program (FAF2000_9347). 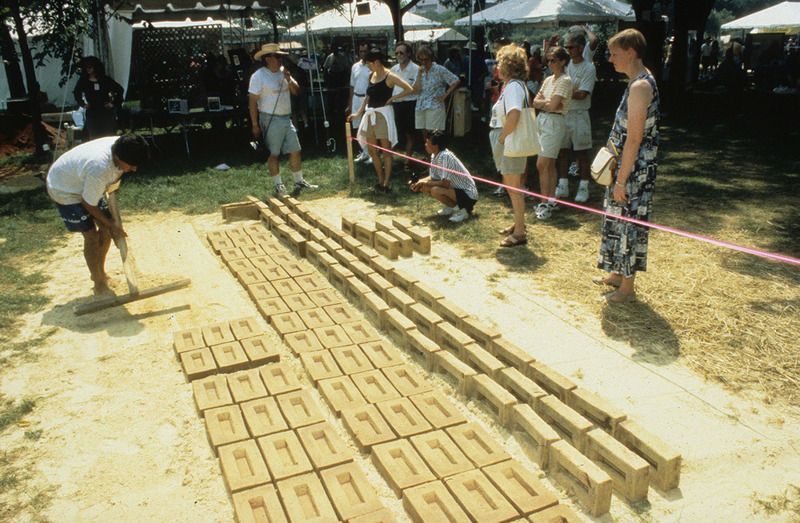 2000 Smithsonian Folklife Festival, El Rio program (FAF2000_9348). 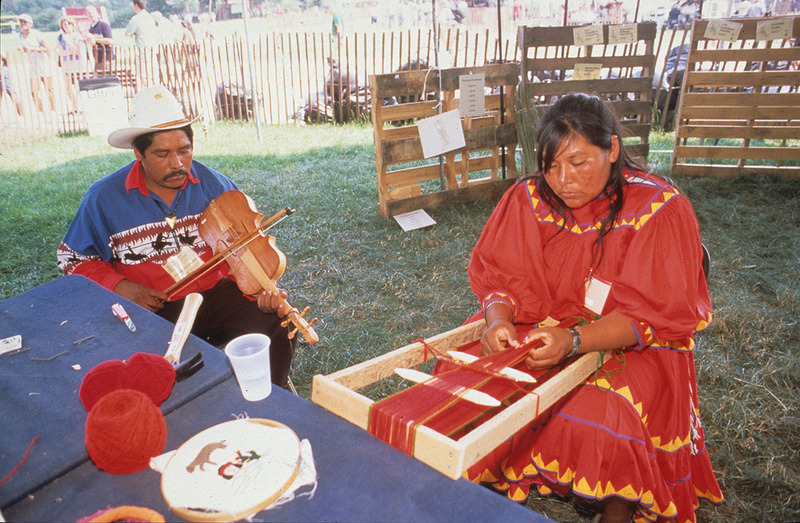 2000 Smithsonian Folklife Festival, El Rio program (FAF2000_9467). 2000 Smithsonian Folklife Festival, El Rio program (FAF2000_9512). 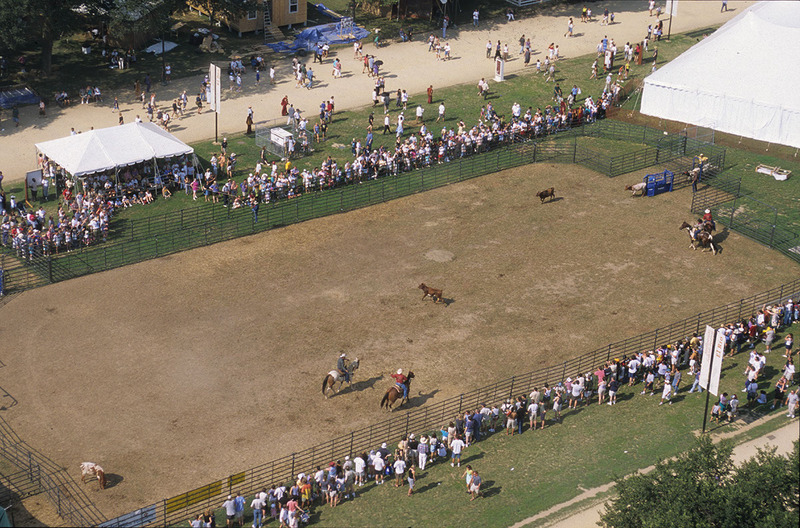 Building upon a multi-year engagement with communities along the U.S.-Mexico border, the El Río program at the 2000 Festival was one of several important outcomes - including a traveling exhibition, education materials, and documentary video - of the project. The geographic expanse of the basin and its cultural diversity posed a challenge for the project that was met with the help of colleagues and institutions in the region. Smithsonian curators posed several broad questions to their regional collaborators about the dynamic interplay between culture and environment in the Río Grande/Río Bravo Basin. First, how does traditional knowledge developed over generations contribute to managing land and water resources? Second, in what ways does the environment shape a community's cultural identity? And third, how can local knowledge and cultural practices contribute to sustainable development and provide the basis for successful economic enterprise? The Festival presentations were structured around these three domains. Traditional knowledge and management of the environment. Shrimpers, ranchers, vaqueros, blacksmiths, barbacoa (barbecue) cooks, and artisans who use desert fibers all have different work, but all rely on traditional local knowledge and on their own experience with the fragile natural resources of this desert environment. Centenary ranchers in New Mexico maintain the ancient acequia (irrigation ditch) system to sustain their ethical values and natural ecosystem with community participation. As new people move into the area, conflicts arise over different values placed on cost-efficient technologies. Festival participants addressed how they combine knowledge and technology from many sources and, as importantly, how they establish dialogue with newcomers about tradition and the quality of life. Landscape and cultural identity. For the Pueblo, water rights govern ritual practices as much as irrigation. When new residents move into an area, different forms of land ownership and use may challenge existing arrangements. Long ago, Spanish settlers in New Mexico caused great conflict and change, but Pueblo traditions have persisted, and in some cases, Pueblo and Hispano communities have developed shared cultural forms, such as matachín dancing. Some of the Rarámuri, a Native American community indigenous to Chihuahua and known by outsiders as Tarahumara, have recently migrated from their rural environment to Ciudad Juárez. Their dance, craft, and foodways traditions help them sustain their cultural identity in an urban environment. 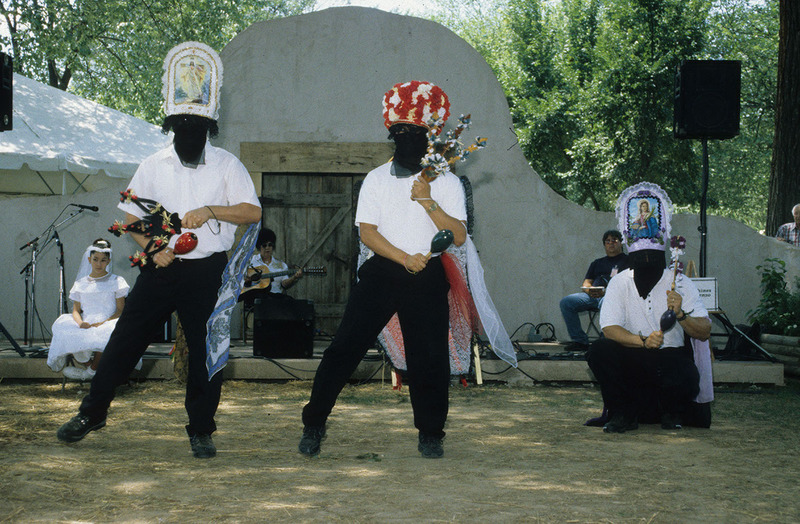 Other such expressions featured in this program are Chicano murals, which illustrate the interconnectedness of belief, history, and cultural identity; and South Texas conjunto, northern Mexico norteño, and New Mexico ranchera music, which illustrate the same thematic connections in their music and words. Local culture and sustainable development. Guided by the values shared in local cultures, successful, sustainable, producer-owned businesses combine both traditional and new skills and technology. These enterprises develop collaborative networks through participation in formal and informal economies, selling their products in community markets, flea markets, tourist shops, through craft catalogs and Internet Web sites, and in other domestic and international markets. Craft enterprises featured at the Festival included a weaving cooperative, cottage-industry piñata making, glass etching, furniture caning, and retablo (sacred image) painting. 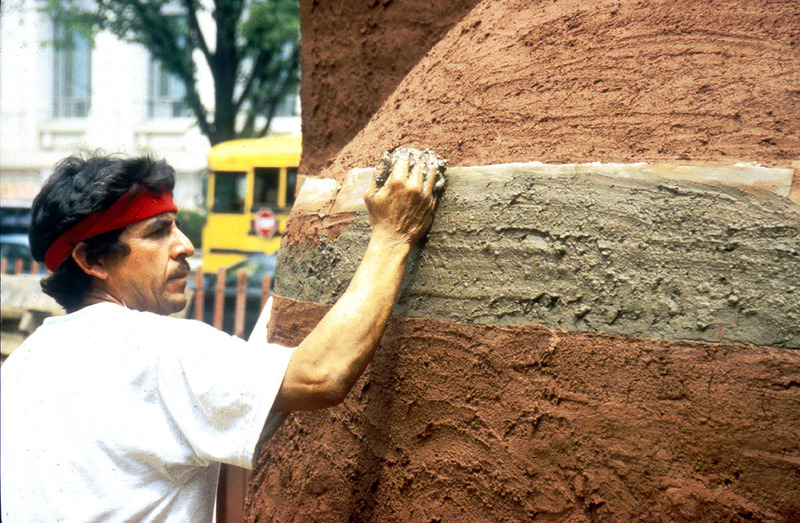 Building arts included building with adobe, ornamental stone carving, brick making, and self-help home building. All illustrated the creative use of traditional knowledge, available resources, and innovative exchange strategies. Olivia Cadaval and Cynthia L. Vidaurri were Curators, and Arlene Reiniger was Program Coordinator, with Soledad Campos as Evening Concert Collaborator. The program was produced in collaboration with the Smithsonian Center for Latino Initiatives. 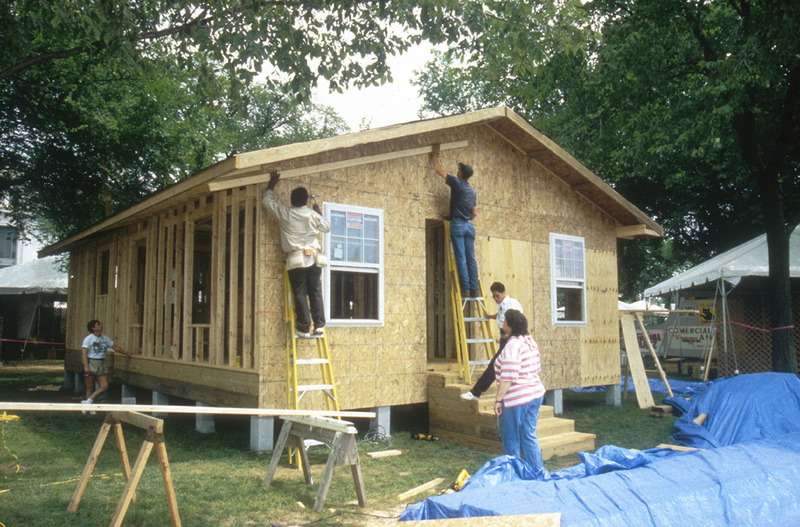 Major support was provided by the State of New Mexico, Smithsonian Latino Initiatives Fund, U.S. Department of Agriculture, and the Housing Assistance Council. Additional support was provided by El Consejo Nacional para la Cultura y las Artes, Texas Commission on the Arts, El Consejo para la Cultura de Nuevo León, Instituto Tamaulipeco para la Cultura y las Artes, Dirección General de Ecología del Estado de Coahuila, Desarrollo Integral de la Familia del Municipio de Saltillo, Coahuila; Programa de Museos Comunitarios en el Estado de Chihuahua, and National Museum of American History's ENCUENTROS: Latino America at the Smithsonian. From the headwaters to the mouth of the Rio Grande/Rio Bravo, the river basin's diverse environmental zones pose unique challenges in land and water management.